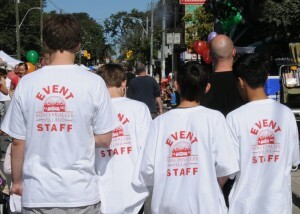 Every year the Roncesvalles Polish Festival needs a great number of volunteers to keep it running smoothly. We are looking for enthusiastic, reliable and dedicated volunteers for September 2018 dates. For steps to becoming a Volunteer, see the Volunteer Application page. Roncesvalles Polish Festival, Canada’s largest Polish Festival, with over 300,000 visitors is always looking for new and exciting vendors to participate in the Roncesvalles Polish Festival. For steps to becoming a Vendor, see the Vendor Application page. We invite Polish organizations and social groups to participate in the Roncesvalles Polish Festival. For Polonia Outreach, see the Polish Outreach page.